The Warner Bros. Batman flick pulled in $16.8 million to raise its total to $471.5 million. 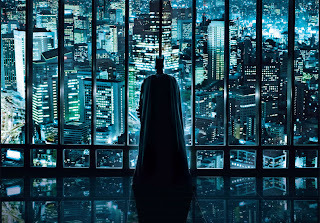 "The Dark Knight" passed the original "Star Wars" ($461 million) and now stands as No. 2 on the all-time domestic charts(not adjusted for inflation), behind only "Titanic" ($600.8 million). Warner Bros. expects "The Dark Knight" to top out at about $530 million domestically. As of right now worldwide, TDK has made a little over 800 million so far..
DC’s first solo movie off the blocks will most likely be Green Lantern, which already has a script and is apparently ready to go.